I was a cabinet maker in Georgia from 1972-1989. I moved to California in 1989 and worked at a custom cabinet shop from 1989 until 2015 when the shop closed down. I am presently retired. The pieces I make are made from reclaimed cedar and redwood fencing. The stained pieces have a coat of exterior stain and teak oil. 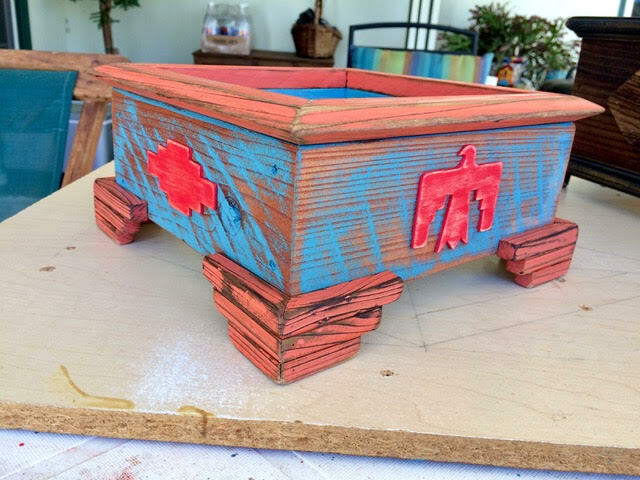 The painted pieces have a coat of exterior paint, teak oil and wax. The wax is melted into the finish using a heat gun for added protection. The pieces are safe for outdoor use if they are in a covered environment like a porch. I do not have an indoor "shop" so I take my tools out of the shed and set them up on our patio. Therefore, I can only work when it is dry and no rain is in the forecast. Working with reclaimed wood is very satisfying but can be difficult since many times the boards are not uniform in size.